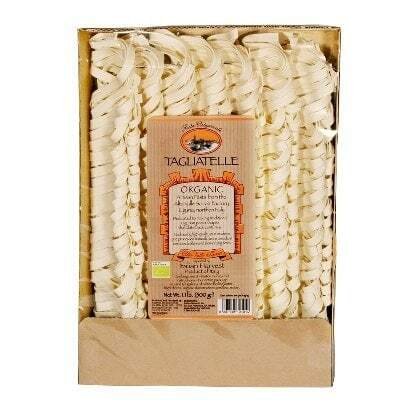 A bigger version of the flat ribbon pasta fettucine, this bag of yummy Tagliatelle is from Alta Valle Scrivia. A pasta type that is typical of Northern Italy, it has a velvety soft texture that’s great for any sauce. Serve it with tuna and pesto, or some meaty ragù. Or if you prefer, serve it with some authentic Italian tomato sauce and a slice or two of garlic bread. Whichever sauce you prefer, you will most certainly have a hearty meal at your table with this pasta. So what are you waiting for? Hurry and grab a bag or two of these delicious pasta for your Italian pantry today! I got one of this from my friend who came from Italy and it tastes good with Marinara sauce.